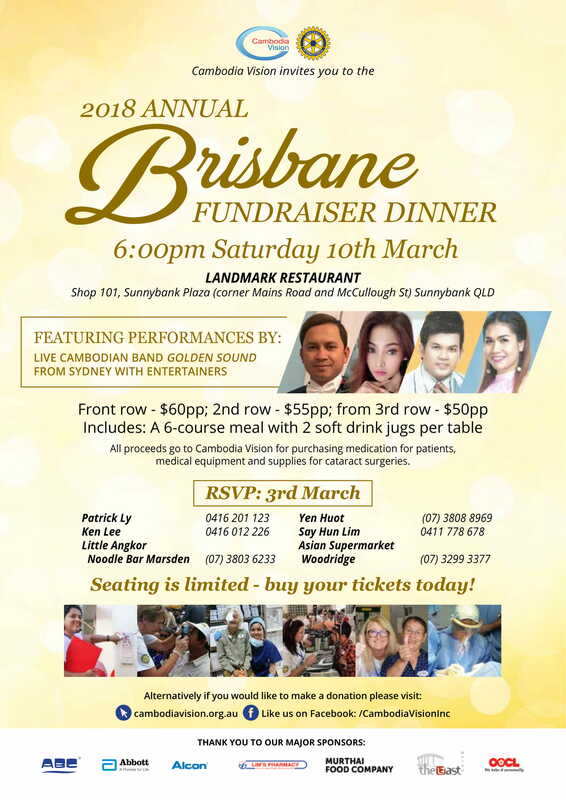 Highlights of the night will include raffle draws and live music from Cambodian band Golden Sound with local entertainers. All proceeds from the dinner go to purchase medication for patients, medical equipment and supplies for cataract surgeries. Tickets: Front row – $70pp; 2nd row – $60pp; from 3rd row – $50pp.